As low as $65.75/month with No Interest for 12 months. Learn More. Stainless Steel Interior A stainless steel interior is better than a plastic interior because they can handle higher cleaning temperatures without warping, they contain noise better, and they’re more energy efficient. Rinse Aid Dispenser This dishwasher includes a Rinse Aid dispenser to help in reducing water spots on glassware and flatware. Water Filtration The water filter keeps food particles and debris from re-entering the wash as water and soap is circulated during the cycle. Delay Start Use the delay option to have the dishwasher start at a specific time so your dishes are cleaned on your schedule. Quick Wash Setting Perfect for small wash loads or during holiday meals, the quick wash cycle will wash your dishes in half the time as a standard wash cycle. 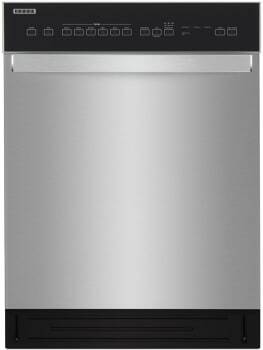 Sensor Clean Water and energy usage is automatically adjusted based on the soil levels detected by the dishwasher’s wash sensors. Heavy Duty Wash Say goodbye to steel wool scouring pads. 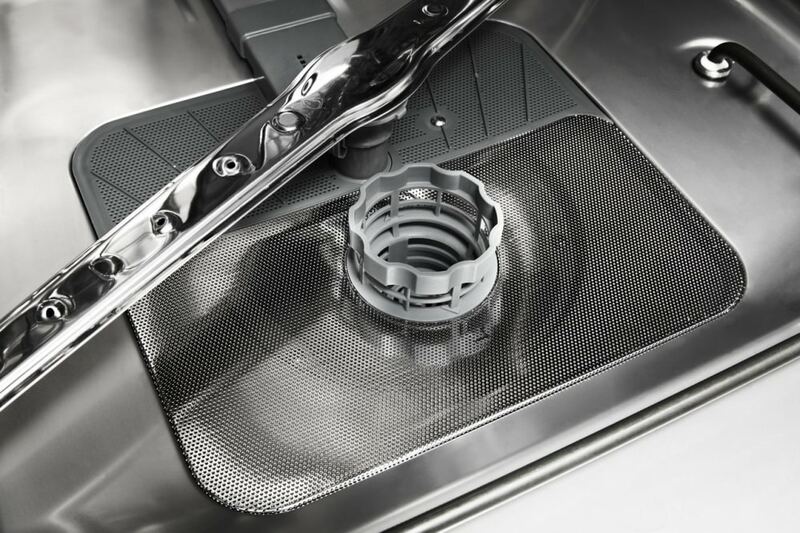 Heavily soiled pots and pans have met their match with this dishwasher’s heavy duty cycle. 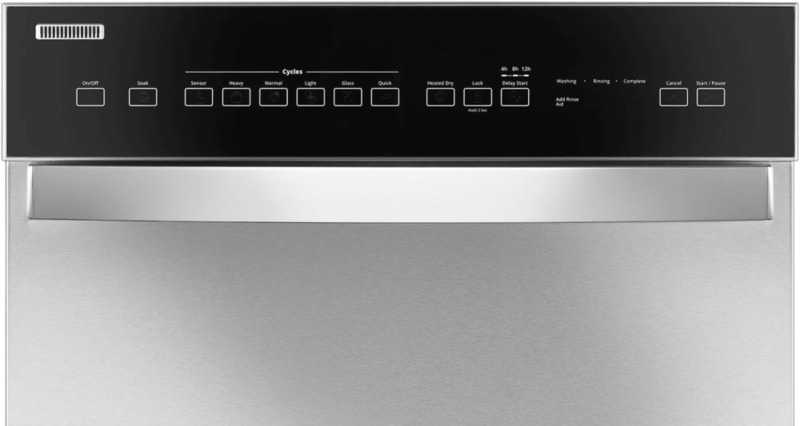 For quick cleanup of routine messes, this dishwasher uses cycle memory to remember the last cycle you picked and automatically chooses it for you the next time. Manually raise or lower the upper rack two inches to better fit tall items. Automatically get the right settings for each load with sensors that detect food particles in the water and continue the cycle until it's clean. 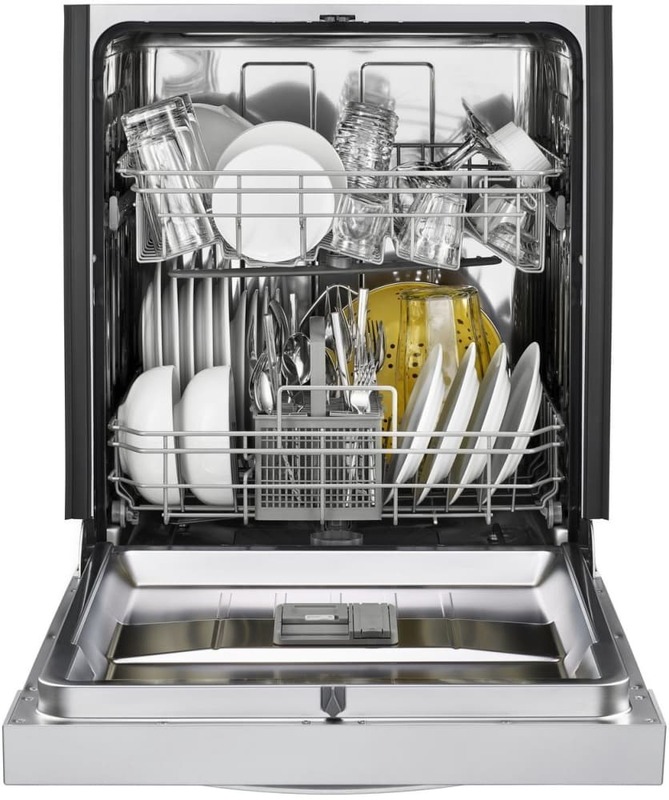 Use a clean, dry dish straight from the dishwasher thanks to added heat for drying. For optimal drying results, use this option with rinse aid. Easily avoid unintended use by holding down the control lock button for 3 seconds to lock the dishwasher controls. 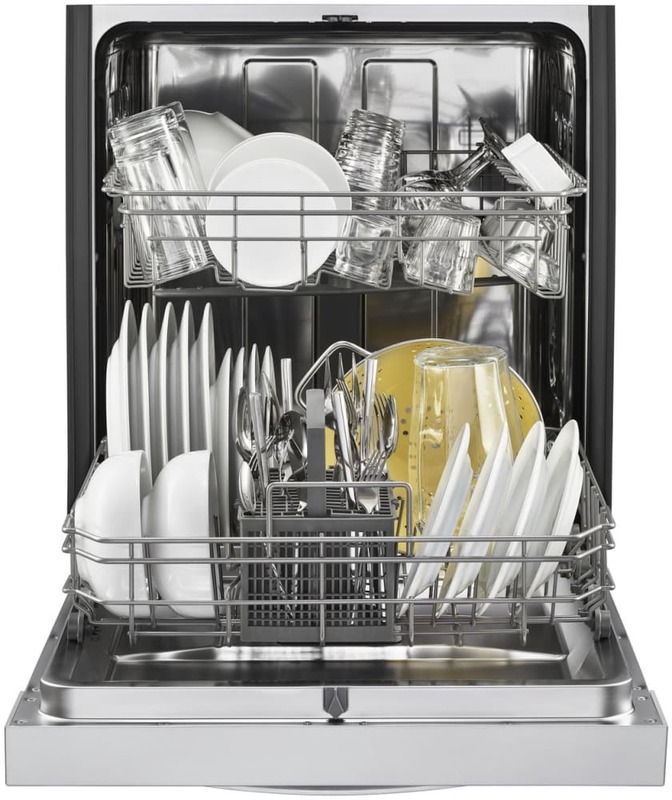 Get a gentle clean with a glass cycle designed for your family's glassware. 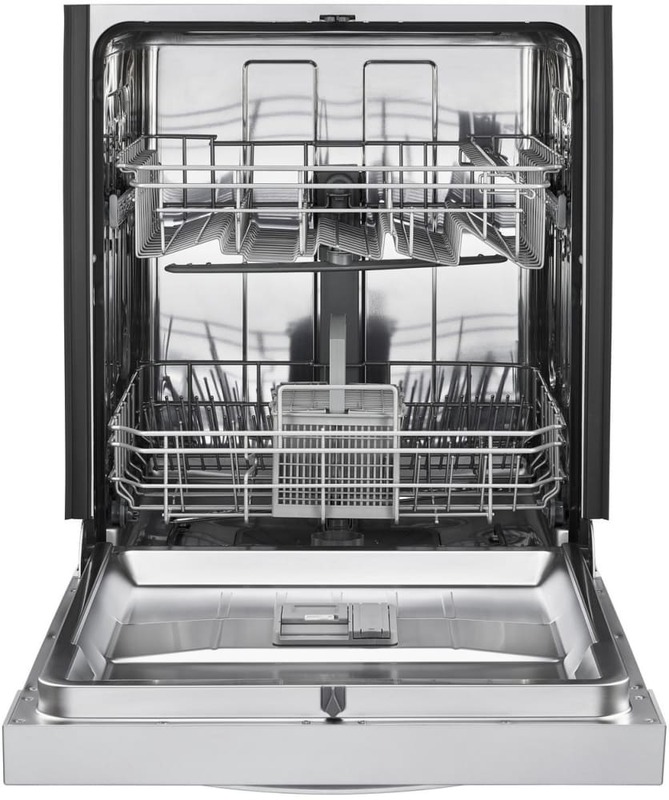 Get complete cleaning performance, thanks to a dishwasher with a separate spray arm in each rack. Make sure dishes come out dry with the stainless steel tub that cools quickly so moisture doesn't condense on the dishes. For quick cleanup of routine messes, this dishwasher remembers the last cycle you picked and automatically chooses it for you the next time. Automatically get the right settings for each load with sensors that detect food particles in the water and continue the cycle until it's clean. 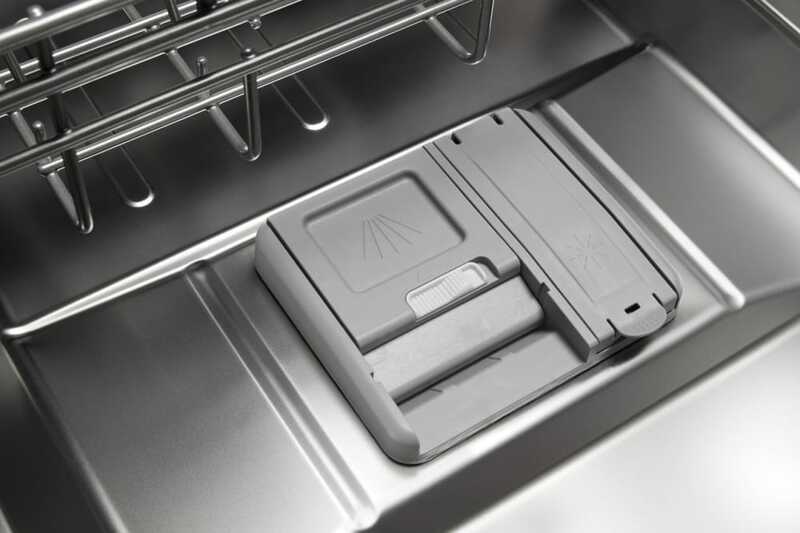 Easily avoid unintended use by holding down the control lock button for 3 seconds to lock the dishwasher controls. Get a gentle clean with this cycle designed for your family's glassware. 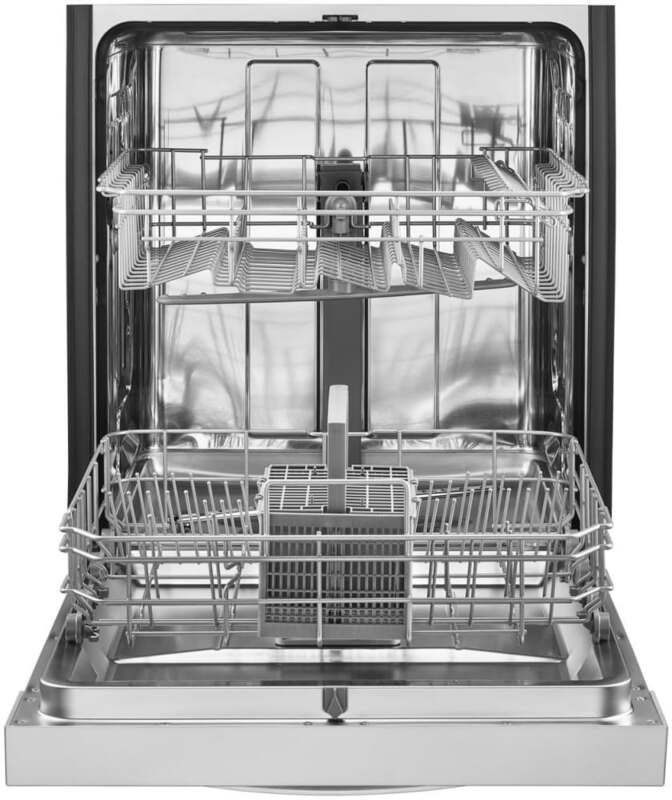 Get complete cleaning performance, thanks to a dishwasher with a separate spray arm in each rack. Make sure dishes come out dry with the stainless steel tub that cools quickly so moisture doesn't condense on the dishes.